These are a great alternative to fried wings, plus they are a perfect healthy side to go with burgers! Whisk flour, buttermilk, garlic powder, onion powder and a couple dashes of hot sauce in a large bowl. If you like a thicker batter, use less buttermilk. 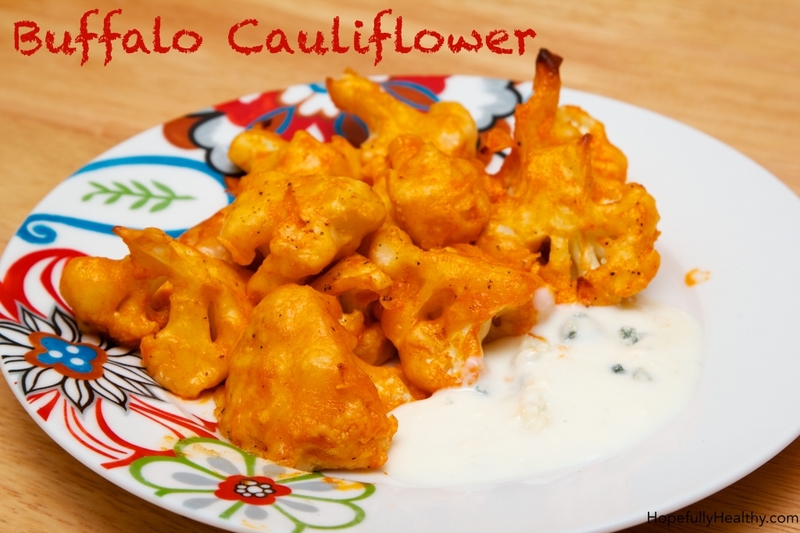 Throw cauliflower into the bowl and mix well, hands work best! Mix hot sauce, butter and honey in a small bowl. 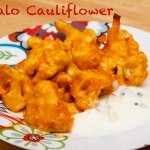 Brush cauliflower with hot sauce mixture and return to the oven for an additional 10 minutes. Serve with blue cheese yogurt dressing, I prefer Bolthouse Farm brand.